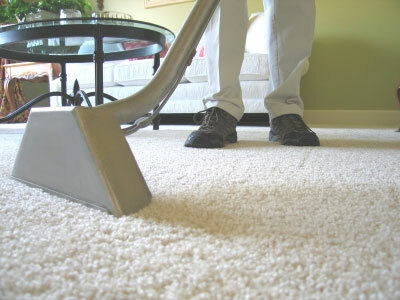 How many of you have had your doorbell ring and had a person offer you a free carpet cleaning? How many of you got suckered into it, not realizing that there was a HUGE CATCH attached to the whole thing? Well, yesterday around lunchtime my doorbell rang. The funny thing is that I was still in my pajamas and had no make-up on. I had a baby on one hip and my other 3 children following behind me. It must have been pretty chaotic for the person who was outside going through a whole shpeal about how they were opening up a carpet cleaning business in my area. They apparently had a business about an hour away and were looking to expand so they were going door to door offering a free carpet cleaning. I was hesitant at first and asked several times what the catch was. The woman assured me that there was no catch and that they just asked for me to share my experience with friends and family. It seemed fair enough and being a small business owner myself I even mentioned what a great strategy this was to get new clients. The woman left and said the carpet cleaning crew would come by in a few minutes. I ran around the living room straightening things up and moving the smaller pieces of furniture vactually getting a little excited that the carpet would be cleaned. The woman even mentioned that they could clean the upholstery in my furniture as well. I declined and said that I would prefer just the carpet to be done, after all I was busy as can be trying to give lunch ready for my 4 kids. About 30 minutes went by and an unmarked minivan pulled up in my driveway. I thought it was very odd because I was expecting at least a van with the carpet cleaning business info on the side or something like that. Then I saw the woman who had offered me the cleaning – she was driving and 2 men came out of the van and they were definitely not dressed as if they would be doing any cleaning. I was immediately concerned and made up my mind NOT to let them in even before they got to my door, after all, my husband was not home. It was just me and the kids. When I opened the door to let them know that I had changed my mind, I saw that one of the men was carrying a box with”Kirby” marked on it. All of a sudden I was flooded with memories of an experience I had with a Kirby representative a few years ago. They had promised the same thing – a free carpet cleaning. But that was definitely NOT what they had come for. I was totally suckered into letting them into my home. And they did this whole presentation about the Kirby vacuum being the best in the world. It had an engine built from the same material as a jet engine. They scared the heck out of me by telling me that my home was infested with dust mites. They even had this whole write up with close up pictures of dust mites. It was like they were SCARING me into buying this vacuum. They went around vacuuming different surfaces in my home with these dust catcher things where you could actually see the dust. The guy must’ve laid 25 different dust filled pads all around and he didn’t even clean them up before he left. The Kirby salesman was SUPER nice to me when he first came in, but once I said “No” to buying the vacuum – he made me feel like a piece of crap. It was horrible. I even cried after he left because I felt terrible that I could not afford a $1500 vacuum. From then on, I was TOTALLY turned off to their company. I really felt betrayed that they were not up front with what their intentions were. The woman that came to my door saw that I was frazzled dealing with my children and she still set the whole carpet cleaning thing up knowing that this was going to be a presentation to sell me a vacuum. Not cool! Have you ever been suckered into this whole thing by Kirby? Did you sit through their 2 hour presentation? Did they make you feel bad when you declined their vacuum offer? I am sure their product is great, but I am not talking about the quality of the vacuum itself. I am talking about their deceptive sales approach. I just feel like it is totally inappropriate to sucker someone into coming into their home and offering a free carpet cleaning just to sell your product. Maybe it worked back in the day, but in this day and age – I think they should find some other way to sell to people and get new clients. What do you think? I want to close by saying that this was not a review of the actual Kirby vacuum. From the presentation, I did see that the vacuum really was amazing and would’ve loved to buy it if I could. It sucked up dust 100 times better than my Eureka. I don’t want to talk negatively about the company or the product itself. I am just sharing my own personal experience and opinion of their sales approach. I remember a similar experience with them, years ago. Luckily my kids were in school so it was just me. I was rather embarrassed and horrified at all the dirt they sucked out of my carpet! They did clean one room quite thoroughly as well as a sofa, so I guess it was worth the hassle. I sure understand what you mean! I don’t take to any salespeople that come to my door. If I want to buy a product I will buy on from a store. I don’t blame you at all for feeling the way you do. I would’ve never, ever, ever let them into my home, ever. If someone comes to my home hawking something, I don’t even give them the time of day. Maybe b/c i live in a big city but I get scared that they are not who they say they are and just want to rob me or hurt me in some way. Years ago I telemarketed for a vacuum/air filtration unit company that had a a similar ploy. They were just as relentless and pushy to us teen age girls in trying to get us to set appointments as they were for the poor unsuspecting people we cold called out of the phone book. We cried after being threaten with firing every day if we didn’t hit our quota.You and every little old lady with a dead husband named Otto cried when those jerks left the house. No, you are not wrong to avoid the scam, and I don’t really see why anyone who didn’t live in a box would unsubscribe from your blog. Screw em. Buy a Dyson. Oh my gosh, you totally cracked me up with the “little old lady with a dead husband named Otto” line. Too funny! And the woman who came to my door, sounded just like you. I wonder if the same thing happens to her. You are so right and I have definitely learned my lesson. I have been way too naive and with 4 small children to care for – I need to NOT give in to this kind of thing ever again! Thanks so much Connie for taking the time to comment! I agree with you completely. Yeah, what a pain! I mean, yes, the vacuum was amazing. But who can afford $1500 for one? One of those sales people from Kirby just dropped by. Sure glad my hubby was home and turned them down. Should have known better than giving it a second thought. I am glad I found this and got reassured that I did not pass up on anything good. Glad my post could help! I just got a call from Kirby and I told them to call back. When I checked out the web I found your site and I’m thankful to read what you wrote! When they call back (which I’m sure they will) I’m going to tell them to take their gimmick elsewhere! I’m a mom of three and don’t have time to sit around talking about a vacuum I don’t intend to purchase. Tks!!! I hope you do not get mad with me, I felt I had an opinion to contribute if you do not mind? : ). I started working for the Kirby Company as an independent dealer four weeks ago. The only way to buy a Kirby Vacuum (which is rated number 1 in all consumer reports, is rated 11 in hepafiltration(which does wonders towards asthma and allergies), and overall has the most versatility and cleaning ability over any other vacuum(10x better than a dyson)) The price is expensive, that is being honest, yes? But the Kirby Company knows this and truly tries to make the price affordable for anyone. $60 a month, and the overall price is quite negotiable. It depends on what the costumer can comfortably fit into their budget, without causing them to lose out on surviving. Which in this day and age I know is usually not much. I am sorry to hear if you had a bad experience. Noone should be rude in your home that is unaccaccaptable. I have gotten along great with every house I have given a demo to, and have really given each and every house as good a clean as it has ever had, (a Kirby clean). Which no other product can perform. I am trying to make a living off of commision, but if my product can truly not only out-perform any other vacuum on the market, as well as save the customer $1000’s of dollars in replacing vacuums/carpets/furniture, (because the Kirby can really add years to anything it cleans and most vacuums that can not pick up the dirt they are suppost to actually does damage to carpets/furniture) than why should I not be able to show it to the world. Granted going door-to-door is hard for many. And I am sure there are salesman from Kirby that are not as honest as me and should not be trusted. But it is a legitimite company with the best product to be found, and it can only be sold through in home demonstrations. Saying no is ok, the one cleaning the carpet should be ok with that, it happens. If it is affordable, get one. I tell people at the door when I am knocking for myself that I am with Kirby and am offering a completely free carpet cleaning for advertisement for my company…it is the absolute truth. The only true cost is the time it takes for the cleaning and that can be 1-3 hours. You do not have to be a shark to be a salesman and I truly am sorry to those of you who have had bad experiences, not all of us are disrespectful. OMG! These characters just came by and I ALMOST let them in, but then decided at the last minute not to let them in b/c I was by myself with my 2 children. Granted, I had the 9mil ready if he tried to push himself in. Sunday though of all days is just not cool. Saturday is fine. Whew! I’m relieved. I can’t afford $1,500 for a vacuum cleaner!! Oh good! And wow, on Sunday? Craziness! Kirby cleaners trying to break into the Tasmanian market with the same old dodgy sales pitch, but fortunately we have been warned. Felt sorry for the young man who came to our door not his fault the telemarketers are less than honest. We will be warning our friends to be careful. We have had a Kirby for as long as I can remember. There is a tiny sewing machine shop, that fixes vacuums, sewing machines, etc, and that is where we bought ours from. We have never had any problems with it and our “new” one is about 10 years old and still going strong. We actually did have someone come by a couple of weeks ago, and they were shocked we had one. We love our Kirby, but if we do ever switch brands, I want to try a Dyson. Thanks so much for sharing Melissa! I definitely want to try a Dyson too. Waiting for the price to come down first.